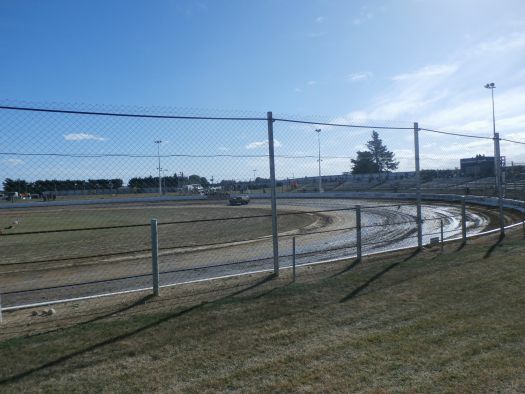 Location - The track is located inland from Christchurch and is tight next to a circuit track bearing the same name. Depending on your exact location you may take State Highway 73 to the North of the track, turning left at Hasketts Road. This route does require fans to cross what can be a busy high speed intersection. Alternative route is Buchanans Road and might be preferable. State Highway 1 runs to the south of the track and if approaching from this route be sure to stop off at the Cookie Time factory store. You'll be looking for Barters Road on your right. Parking - When you turn off Hasketts Road you will turn into a large field. This is the parking area and it's more than large enough to accommodate a full house. If there is action at the circuit track consider parking on the right hand side of the car park to view some racing before you get into the speedway. Premiere Meeting - The Ruapuna schedule has a fair number of well known shows without having that one blue chip show which highlights every season. 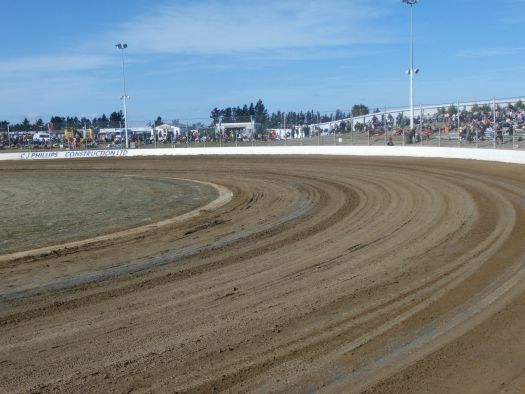 Perhaps the Sprintcar Gold Cup may become that event if it can grow and consistently attract the top drivers. 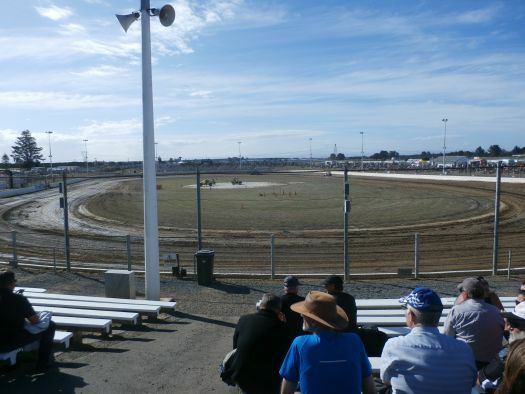 Also worth attending - The War of the Wings Sprintcar series has produced good fields by New Zealand standards though perhaps the quality isn't there quite yet. The Midgets usually have a couple of decent shows as well and the TQ Masters features a unique three-wide starting grid when it's run. Best spot to sit - This is not a track with a plethora of good viewing spots. Most of the seating is on the corners, never an ideal spot to sit at an open wheel venue. The straight is very limited for seating but there is a gem of a spot entering turn 3. The wooden bleaches are nice and high, elevating fans to provide a good view of the action nice and close to the racing surface. 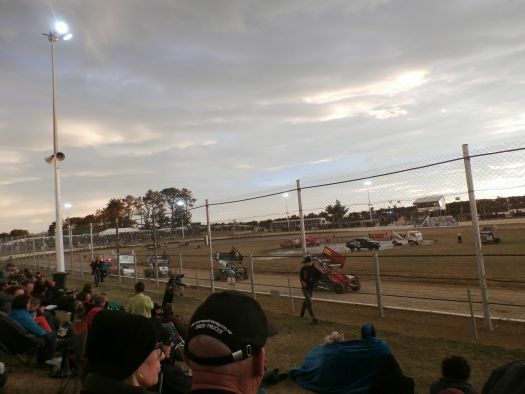 Classes run - Sprintcars, Midgets, TQ's, Modified Sprints, Six Shooters, Quarter Midgets. 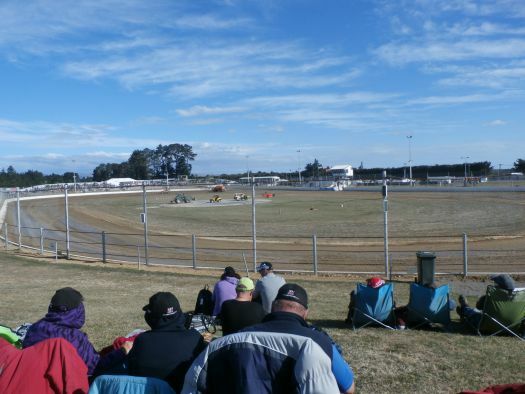 Uniqueness - Ruapuna is arguably the best open wheel in New Zealand. 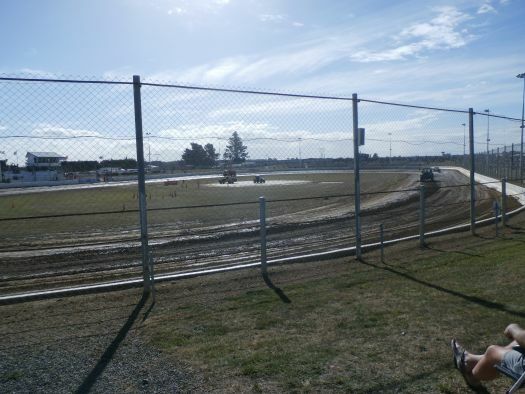 Though it is yet another Quarter Mile, Ruapuna has a little more width than most NZ tracks. It also races wide. When Percy attended a high line formed after a race or two and stayed for the duration of the night, even if it can get perilously thin later on in the evening. Drivers appeared to be able to use the high line exiting turn four to get a run on their opponents. Fans can also view aeroplanes at low altitude. 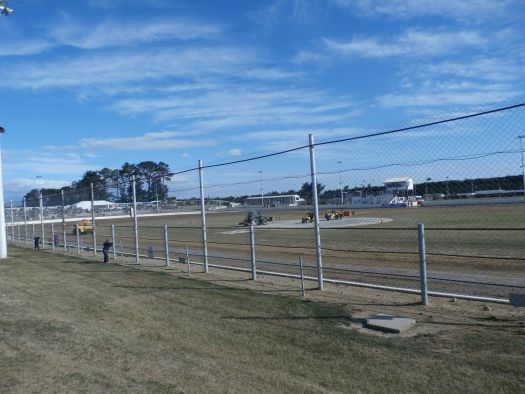 The airport sits a couple of kilometres behind the back straight. If the wind is blowing the right way, approaches to landing come right at you resulting in spectacular viewing.